In this post I will tell you how a SharePoint List can be accessed through the web service. 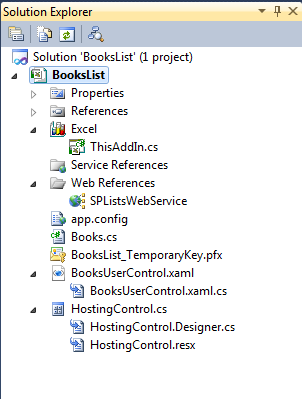 In this example I have a list name “LearningList”, which is accessed through the web service. 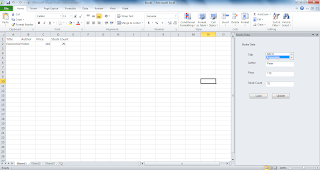 I have accessed the list, shown the data from the list on to the excel sheet and updated the data using the same web service. 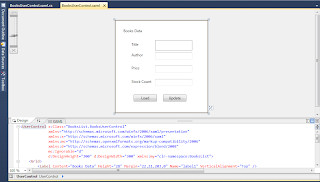 To have the source code to the example Click here. Create a new Custom List and name it “LearningList”. 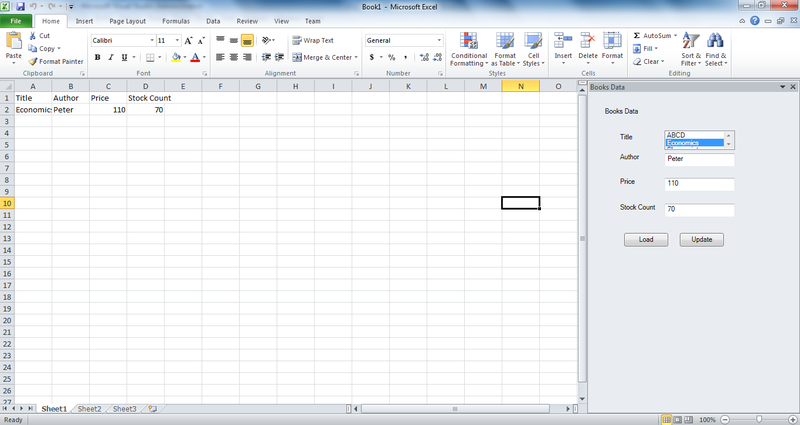 Create a new Visual Studio 2010 project, select the Office 2010 template and in it select the Excel 2010. 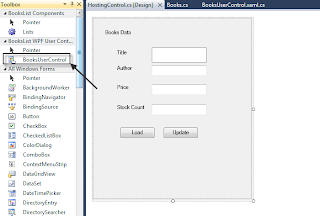 Now add the WPF User Control name it “BookUserControl.xaml”, add a class name it “Books.cs” and add a User Control name it “HostingControl.cs”. Now double click the BookUserControl.xaml and add the 5 labels, 3 textbox, 2 buttons and 1 listbox, in the way as shown in picture below. 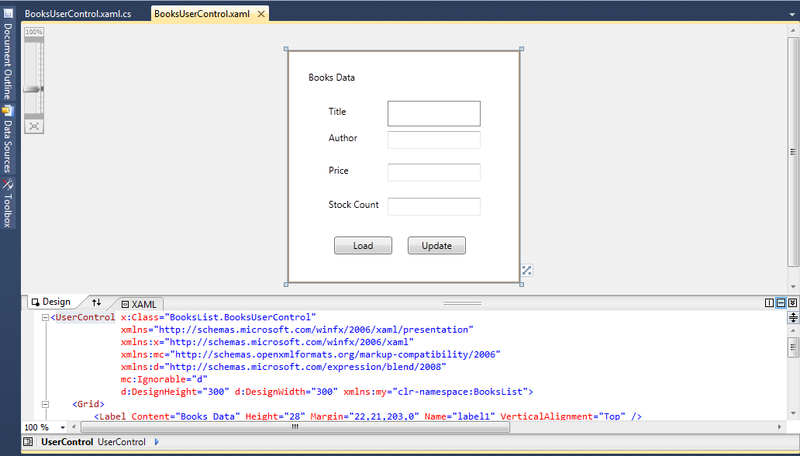 While adding you will notice that the XAML code is being written, which defines the property of the controls added. Double click the Buttons to add the event handlers for each of them in the code behind (this will also update the XAML code). Now add the service reference to the code. Right click the project and select the “Add Service Reference”. Click the go button, which will show all the available methods with the service, name the Service reference (SPListWebService) and click on the Add Reference button to add the reference to the project. Now double click the Books.cs and add the following code. //XElement newRoot = new XElement("
Now compile the code by pressing the F6.